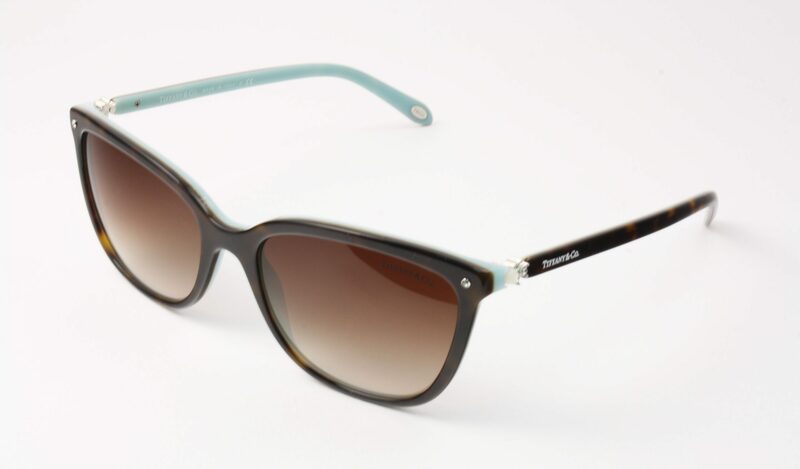 Black acetate against the classic Tiffany blue with silver and pearl accents and grey gradient lenses. The classic cat eye shape of these Tiffany TF4105HB 8193 9S Sunglasses are part of the Ziegfield collection which captures the style and sophistication of the Hollywood 1920s. 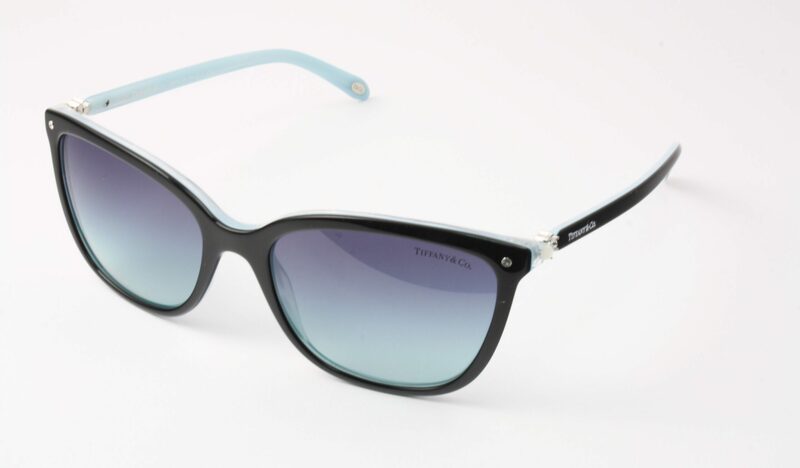 With it’s Black acetate against the classic Tiffany blue with silver and pearl, The Blue gradient lenses in this frame offers a timeless yet understated glamorous look. Tiffany TF 4105 HB delivered free in the UK.